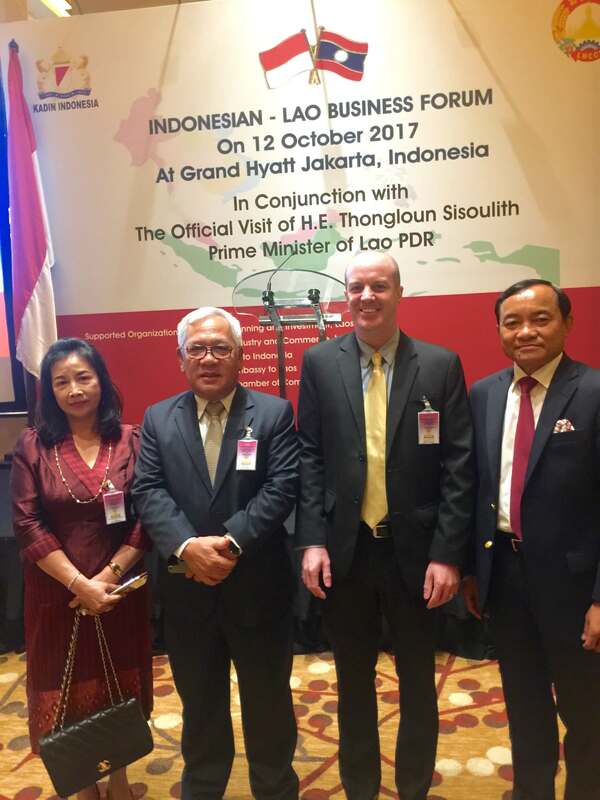 From 11th to 12th October 2017, ECCIL’s Vice President, Mr. Jack Sheehan, joined the Lao Delegation led by HE Thongloun Sisoulith, the Prime Minister of Lao PDR, during the visit to Jakarta, Indonesia. 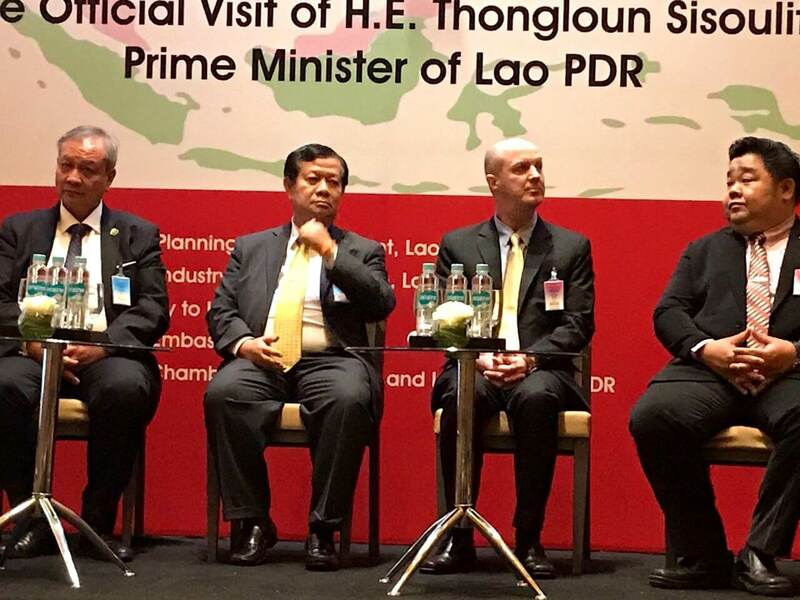 Mr. Jack Sheehan was a speaker and a panel member at the events attended by the Prime Minister and a number of Ministers and Vice Ministers from the governments of Lao PDR and Indonesia. 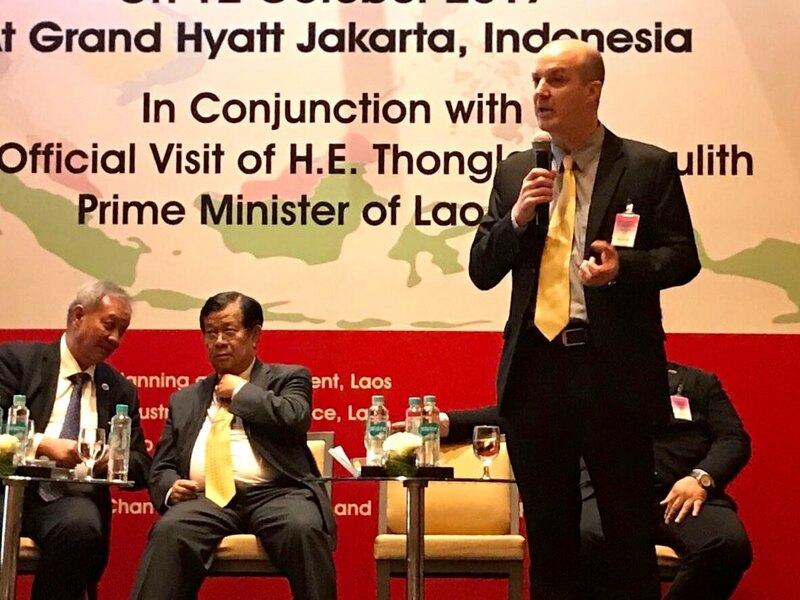 The visit was aimed to broaden and strengthen bilateral cooperation and mark the occasion of 60th anniversary of diplomatic relation between Lao PDR and Indonesia. 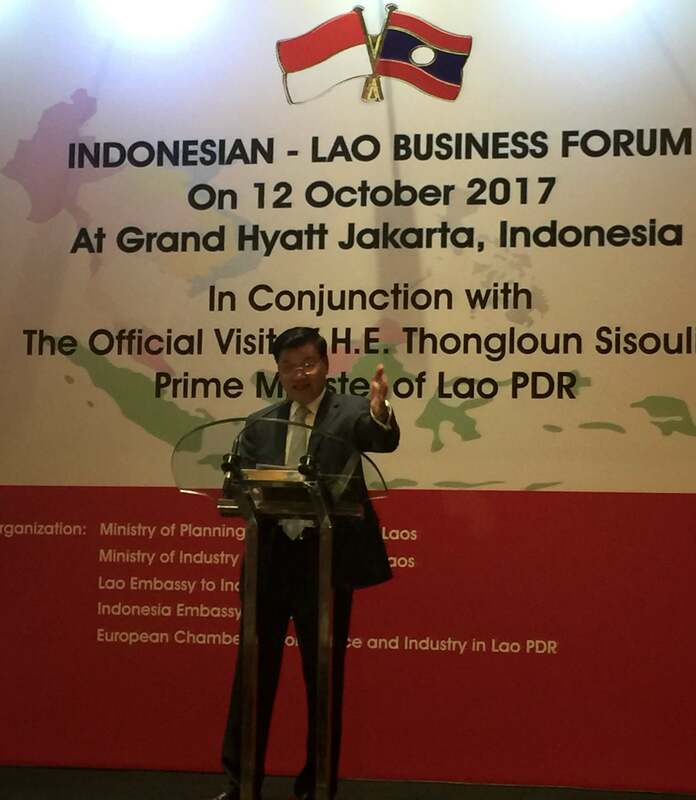 The event also marked the signing of a cooperation between the Lao and Indonesian Chambers of Commerce.